The autumn leaves have dropped and so have the temperatures, getting us excited for another snowy season of skiing and snowboarding! We’re counting down the days until the chairlifts open on Saturday, November 17 and we’re stoked to welcome you for the first turns of the season. 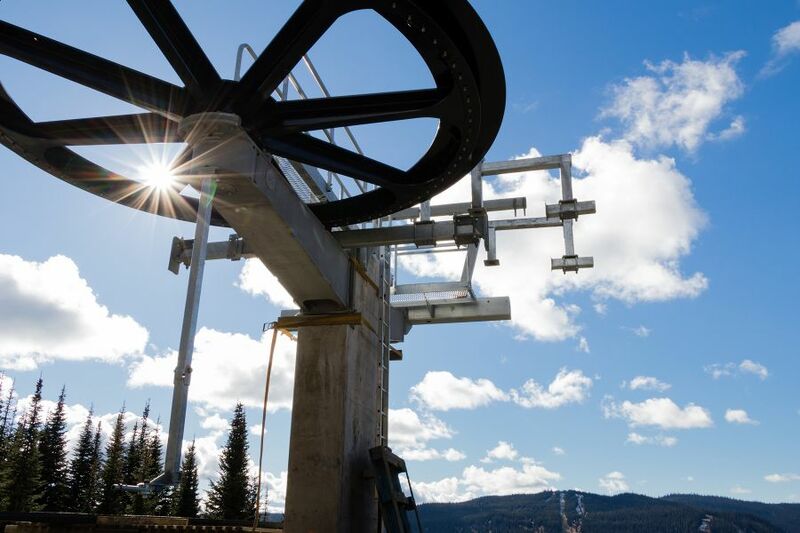 We’ve been posting updates all summer, but in case you haven’t heard we’re getting a new chairlift! Work on the Orient, located opposite the Morrisey chairlift, is in full swing and is on track for a targeted opening just before Christmas. Both terminals are now nearing completion, with the installation of the lift towers by helicopter the next major step. With the new chairlift comes new runs! 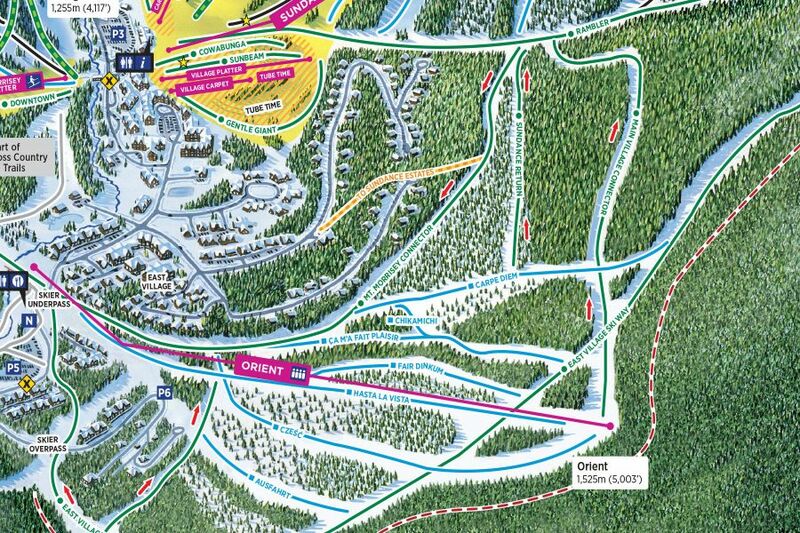 Two new runs will be opening in the Orient Ridge area of the resort: Main Village Connector and Hasta La Vista. 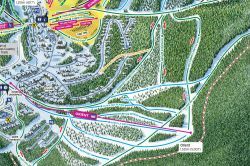 Main Village Connector will provide a beginner friendly green route from the top of Orient back to the village via Rambler, making it easier for guests of all levels to ski and snowboard between Mt. Morrisey, the East Village, Orient Ridge, and Sundance. Hasta La Vista, named to carry on the international flavour in this zone of terrain, follows the lift line of the new chair. Tell your friends “catch ya later!” before showing off your best turns down this fun new blue run. The addition of these new runs brings our alpine trail count up to 137 for winter 2018/19. We’ve increased the capacity of the Sundance Express chairlift by 30% with the addition of new carriers to the lift line. You’ll be able to lap the cruisy groomers and glades of Sundance mountain, as well as the Rockstar Energy Terrain Park, even faster this season. Over the summer our Slopes Crew has been busy! Along with our usual summer grooming efforts, the crew performed additional glading work in the forest between Blazer and Runaway Lane, Blazer and Cruiser, Bluff and Sting, and Bluff and Cariboo. This work will improve the ski experience for those who like to hunt for deep powder stashes amongst the trees. We’ve added two new cats to our grooming fleet this year, replacing some of our older models. Our new PistenBully 400 4F will improve the efficiency of the fleet, as well as help reduce our environmental footprint with a more fuel efficient and lower emission engine. 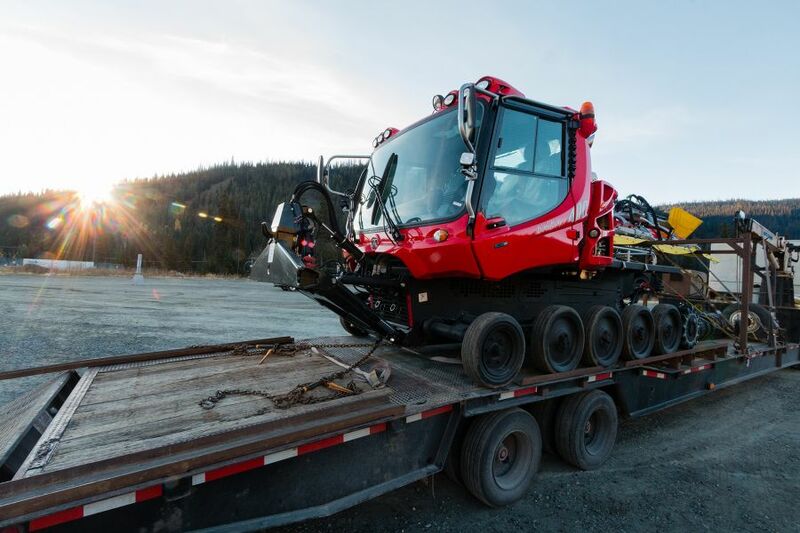 Park fans will rejoice at the addition of second PistenBully 400 ParkPro to the team, which will help ensure that the features in the Rockstar Energy Terrain Park are in perfect shape all season long. 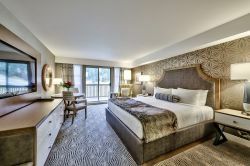 Sun Peaks Resort’s premier property has been upgraded this season, with all 221 guestrooms receiving a complete makeover. The new look combines quiet luxury and an updated contemporary attitude, balanced with a rustic nod to Sun Peaks’ mountain surroundings. Après is about to get a lot easier this winter with the launch of two new evening transportation options! We’re expanding our complimentary in-resort shuttle service, with a new evening schedule running 4:30pm to 10:00pm, daily from December 14 – March 31. This compliments our day time service which runs from December 1 - April 14. The new evening shuttle is a great option to get home safely after dinner or a night on the town, as well as providing a welcome rest to weary legs after a day on the slopes. A more detailed schedule for the evening shuttle will be available on our website soon. Also new to the community this season is Sun Peaks Taxi. Sun Peaks Taxi, an independently owned and operated business, will be running two vehicles this winter, available 24 hours a day to help transport you throughout Sun Peaks and beyond. 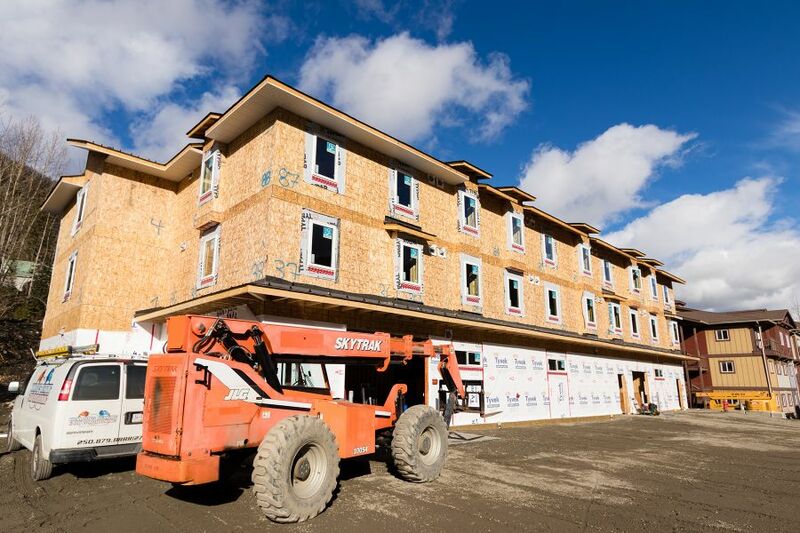 To meet the needs of our expanding Sun Peaks team a new staff accommodation building is currently under construction. Black Bear Lodge is located adjacent to our current staff housing buildings and will include 84 beds in dorm style accommodation, along with a common area. Black Bear Lodge is on track for completion in early 2019. 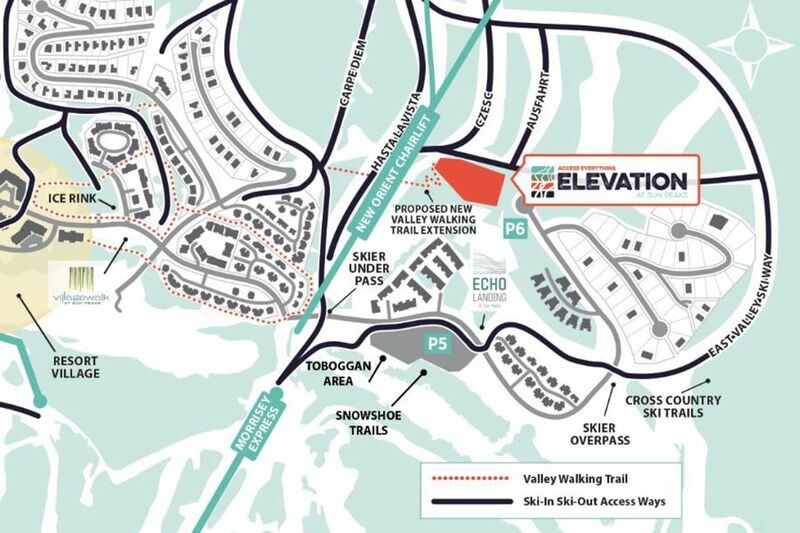 Several new real estate developments are currently underway in Sun Peaks, as part of the continued growth of the village in conjunction with the resort’s Master Development Plan. Construction has already started on Peaks West, a two- and three-bedroom condo, townhouse, and commercial development beside the Sun Peaks Fire Hall. 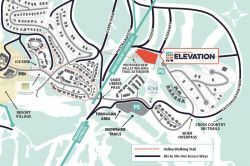 The recently announced Elevation development will take advantage of Sun Peaks’ newest chairlift to provide ski-in, ski-out living perched above the soaring views of the 16th fairway on the golf course.